Susan Lendroth grew tomatoes in her backyard when she was a kid. Now she grows herbs on the kitchen windowsill in Southern California. Susan is the author of Calico Dorsey; Maneki Neko; Ocean Wide, Ocean Deep; Why Explore? 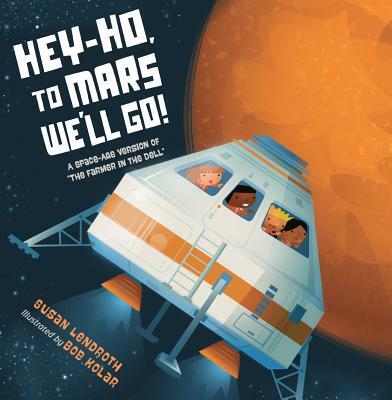 ; and Hey-Ho, to Mars We'll Go! Growing up, Bob Kolar was mesmerized by the Apollo missions. He is now the author and illustrator of many books for children, including Stomp! Stomp! (NorthSouth) and the Astroblast! series (Scholastic), the basis for the Sprout TV show. He is also the illustrator of The Boy and the Book; Slickety Quick: Poems about Sharks (Candlewick); and The Little Dump Truck (Henry Holt). When he's not writing and illustrating books, Bob teaches art at the Kansas City Art Institute.